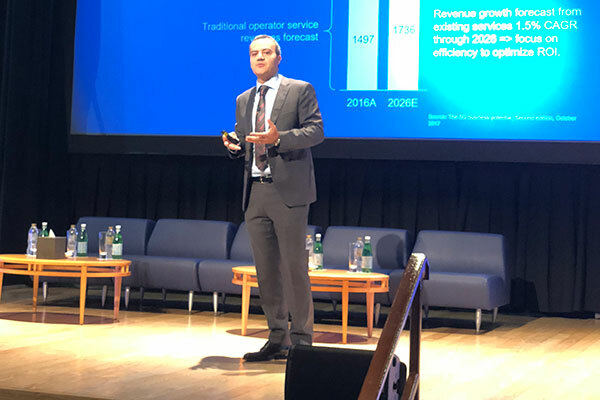 Ericsson presented its latest 5G strategy at 5G MENA 2018, a top event in Dubai, UAE bringing together telecom operators IoT specialists from across the region to drive the connected revolution towards LTE-A, IoT, Smart Cities and 5G. Ericsson is designing 5G for all future business opportunities. With the company’s broadest industry insights and network capabilities, service providers can address explosive traffic growth while also enabling completely new use cases. The network is at the heart of 5G and Ericsson is helping customers seamlessly evolve their networks, solving challenges today and preparing them for when 5G comes. Ericsson’s 5G system is modular, designed for long-term value. By 2026, Ericsson expects operators will be able to address up to USD 619 billion in business opportunity by leveraging 5G technology for industry digitalization.